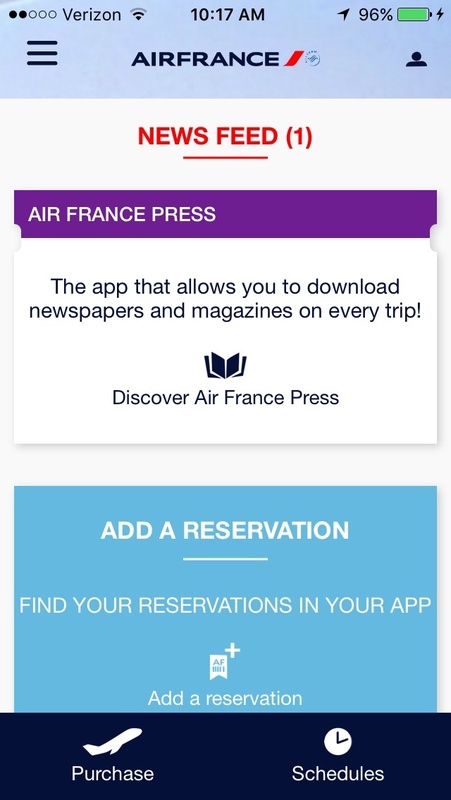 There is an iOS app from Air France which will work on your iPhone, iPod, or iPad. Flying Blue members will also be able to use the app to manage their profile, view account activity, and more right from the app. Air France has an Android app that works with most Android tablets, phones, and some Android Wear devices. You can get the same stuff done on the Android app as you can on the iOS app for Air France. Also take a look at Air France's website by clicking here — you should be able to do what you need there.